Dessert time at The Grill in midtown. 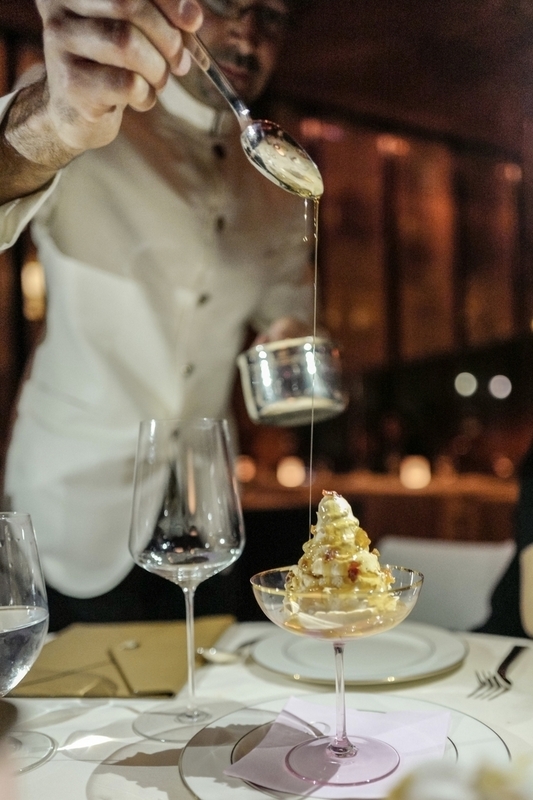 The Major Food Group brings their theatrical dining into the middle of Manhattan with the takeover of the historic Four Seasons restaurant. Lots of table-side platings and presentations and delicious fun.